Winners take their dreams seriously. Winners never give up and won't let you give up either. Winners care in their sleep. Winners make big things happen a little at a time. Winners say "yes" to freedom and change. Winners go with the flow. Winners see the beginning in every ending. Winners inspire the best in others. when it comes to experience, laughter and love. 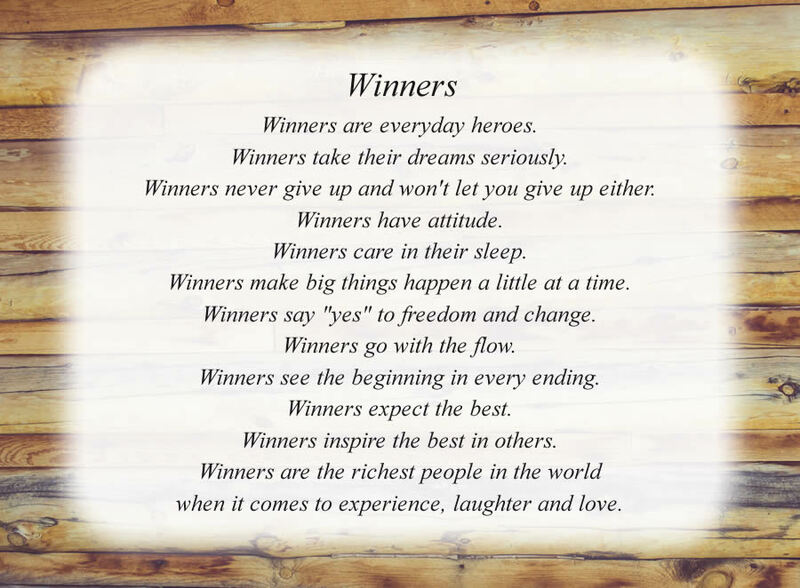 The poem, Winners, is free and printable by opening or downloading using one of the three links below.